If you can imagine that Salvador Dali had done the illustrations for Alice in Wonderland, which would amount to a double whammy dose of surrealism, you might have the wee beginning of an inkling about Blue Ice. I don't even know quite how to go about reviewing this game—it is certainly different than anything else I have ever played. The game takes place in a land called Icia that has had some 700-plus King Edwards, who each are responsible for several million petty laws, numbered sequentially, which all combine to dictate every teeny action and thought of every subject of the land. King Edward LCCXI dies before his son is of age to ascend to the throne. The prince is expected to stay inside studying all the millions of laws and living according to a very rigid schedule until he is old enough to be king. He spends his time wondering how he will measure up to the greatness of his ancestors in promulgating new laws. It is your job to bring the young prince to an understanding of the five things that make life worth living—music, food, nature, color, and love—and thereby break the evil hold of history on his young mind. There are five characters in the game: the prince; the housekeeper and her daughter, the chambermaid; the stable lad; and Hope, a sprite or spirit who is the daughter of Orseppo, the wise witch who is behind the quest to enlighten the prince. By clicking on each character with the magnifying glass, you can read his or her thoughts in the particular scene, which all combine to tell the story and give you insight into their individual personalities. One of your first tasks is to make the prince's breakfast, and before you can complete that, you are likely to find parts of the other treasures. Once I knew what the plot was, it was very clear and moved along nicely by the game. 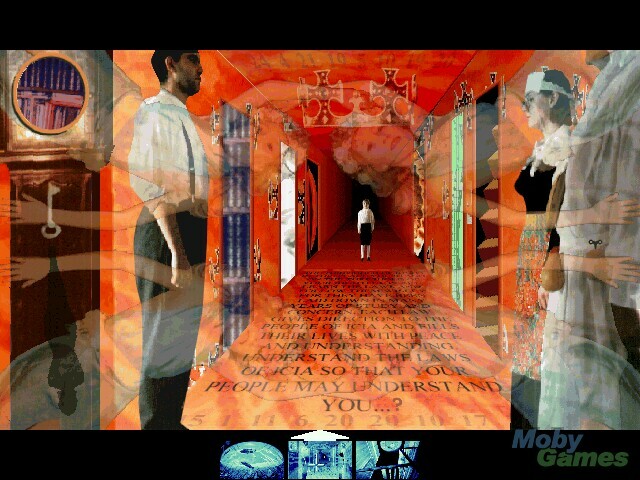 "Surreal" is the first word that comes to mind in attempting to describe all aspects of this game; "weird" is the next. At the beginning, you must enter the pupil of an eye to access the courtyard of the house. 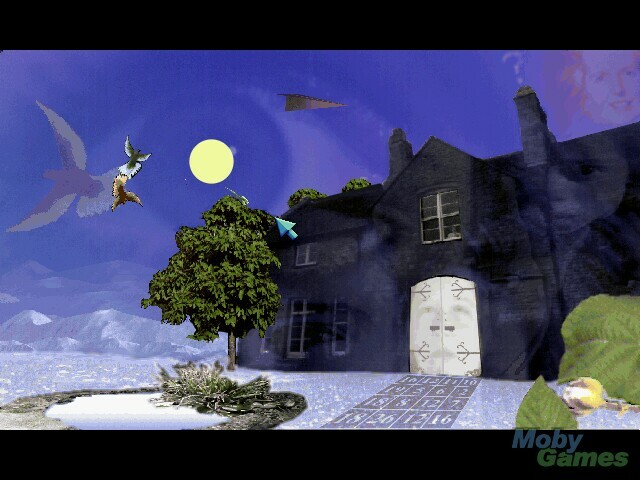 From there, you pluck the sun out of the sky and use it to thaw a frozen pond, jump into the pond and retrieve a key from a fish, and then use the key to enter the house. Every time you pick something up that you can carry, it changes into a cursor, so you basically scroll through your choices of cursors to see what item you want to use and then choose one. Sometimes it was hard for me to tell what I had picked up; half the fun was in trying to find out what it was and where it could be used. You get keys to new locations by clicking the magnifying glass on occupants of the house. A warning, though: it is only possible to hold one key at a time, and if you get a new key while you are holding one, the old key is lost forever. Once you get a key, you have to discover what it opens. There are some really strange locations in this game; I don't want to say too much for fear of giving away too much. After I got used to the inventory-as-cursor method of play and the odd entrances to other rooms, I enjoyed the style of gameplay very much—it is purely mouse-driven and becomes very intuitive. There are only some hotspots, however, so you still have to do a lot of clicking on everything. I had to start the game over a couple of times due to the type of flaws that let you progress for a little while but eventually get stuck if you don't do something correctly, for example, losing a key by picking up another one. I also had to resort to hints and the walkthrough quite a bit because of the obscurity of some of the steps in the game—for instance, in order to go fishing with a maggot, I had to first warm the maggot by placing it on someone's lips. Who'd've thunk it? The graphics are largely stagnant—most of the scenes contain very little movement—but each scene contains a great deal of information. 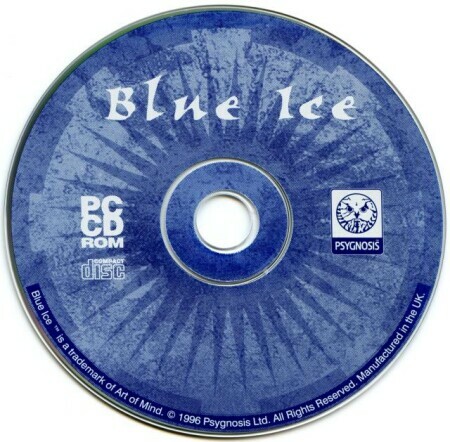 For instance, clicking on the "Blue Ice" logo at the top middle of the screen gives an aural clue about the scene, clicking on the scroll at the top right of the screen gives an Ician law that relates to the scene, every scene has a question mark, hidden or in plain sight, that you can click on with the magnifying glass to get another clue (finding the question mark was half the fun in some cases—kind of like "I Spy" or "Where's Waldo"), and every scene has the character Hope in it, again hidden or obvious. The scenes are all decorated with semi-hidden numbers which seem to have no significance. The music in the game is outstanding. Each room has a different piece associated with it, and all of the music comes from published CDs. It covers the whole range of western musical history, from classical to swing to jazz to new age. Some of the more well-known artists are Duke Ellington, Tangerine Dream, David Sylvian, and Brian Eno. The voice acting all has a dreamlike quality that exactly suits the feel of the game and is therefore also outstanding. There was absolutely no room for improvement in this category.